Using visual design theory in business and technical writing is important because busy readers lose interest easily, so they need to capture information quickly. For these reasons, we employ illustrations such as tables, charts, photos, drawings, and screenshots to focus our reader. But a lot goes into visual design. Start with the premise that document and slide deck design depends on the principles that define powerful writing: Establish your purpose, identify the most important points, and determine your audience’s level of understanding. stimulate interest – The illustration must capture the reader’s attention. clarify complexities – The illustration must simplify the text. promote retention – The illustration must capture the key content for quick scanning. induce action – The illustration must invoke participants to achieve the intended results. impose enduring impressions – The illustration must have a memorable impact. 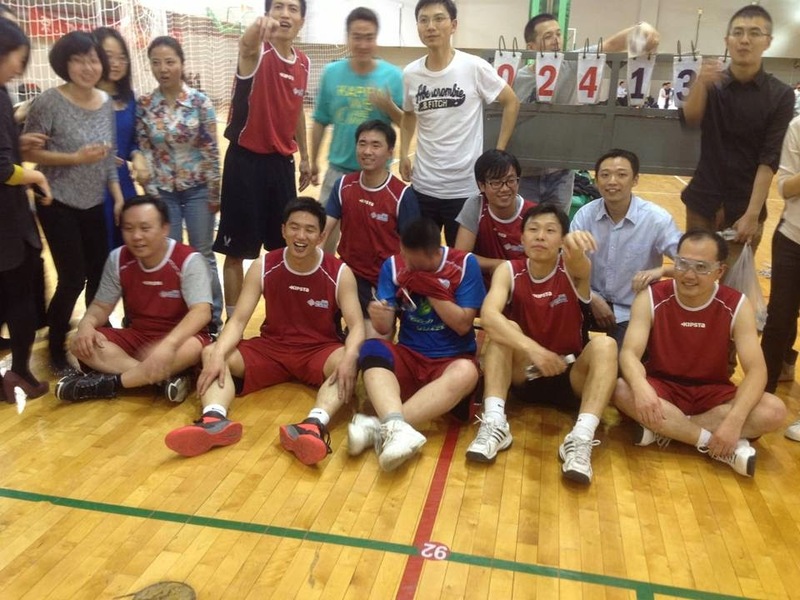 Beijing International MBA students celebrating a winning basketball game. One of my MBA classes in Peking University. 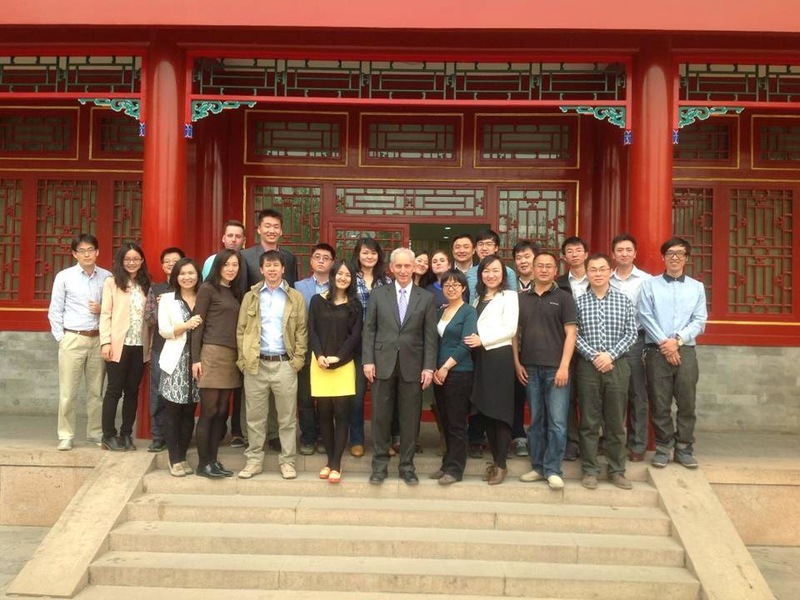 While in China, I have had the great pleasure of dining with many Chinese business professionals and students. Over my strongest objections, they always want to pick up the tab. I have watched them work hard on their classroom assignments and play hard too, as evidenced in the photo of a class basketball team after winning a key game. The standing player pointing at me while I was taking the picture is imploring me to join the photo because he considered me part of the team, another sign of Chinese generosity. But those acts of benevolence did not prepare me for what I saw at an event celebrating twentieth anniversary of the National School of Development (NSD) at Peking University. In between Las Vegas-like song-and-dance numbers, popular local personalities came onstage to auction professors' items of little commercial value: handwritten lecture notes, a scroll of Chinese calligraphy, or a future lecture. Buyers included former students who are now successful business people and NSD supporters. The winning prices reached as high as 2 million RMB (US$320,000). I shook my head in disbelief when hearing those numbers. While some might argue that this show of largess was an example of pure ostentation, I would disagree. The audience was too small and the event too local to capture wide recognition. Rather, I would suggest that spending so much money on items with little apparent return on investment indicates the Chinese willingness to endow entities with potential to advance their country, beliefs, and lifestyle. I was surprised by the result when I Wikied how many Chinese live overseas, away from mainland China: merely 50 million. I would have bet well over double that figure. Perhaps my bias comes from the fact that my ancestors, the Maltese, number only 1 million worldwide, with 600,000 living outside and only 400,000 living inside of Malta. With the exception of Australia and Malta itself, no matter where you live in the world, you'd be hard-pressed to find a single Maltese, while Chinese people seem ubiquitous where I live (Central New Jersey) and mostly work (New York City). Meanwhile, the Chinese comprise nearly 1.5 billion people worldwide--no comparison, really. Regardless of the statistical accuracy of my unsophisticated research, Chinese expatriates stand out to me more than any other because of how they view their homeland. When teaching an adult ESL class in the United States, I like to privately ask students whether coming to the America was a good decision. Most Eastern Europeans will say, "Without a doubt, yes," even if they left behind highly skilled medical, engineering, or managerial positions in favor of lower-ranking clerical ones in the US. Indians would agree, but many say they would enjoy doing business internationally between the US and their homeland so that they could live in both countries. The Chinese response to my question, however, is remarkably different, especially when the younger generation opines. A slight majority says, "I could be wealthier in China, but I prefer the way of life in the United States, so I'm staying here." Nearly as many say, "I would like to return to China because of the greater opportunities there." Clearly, China is a land of opportunity, as it will soon surpass the US as the world's number one economy in terms of purchasing power. This fact causes conflicting feelings for Chinese across the globe. While they understandably feel great pride in their homeland and strong confidence about its economic prospects, they still have reservations about its future for political reasons. My 2012 trip to the Great Wall at Mutianyu and more recent one at Badaling symbolize this Chinese dilemma. 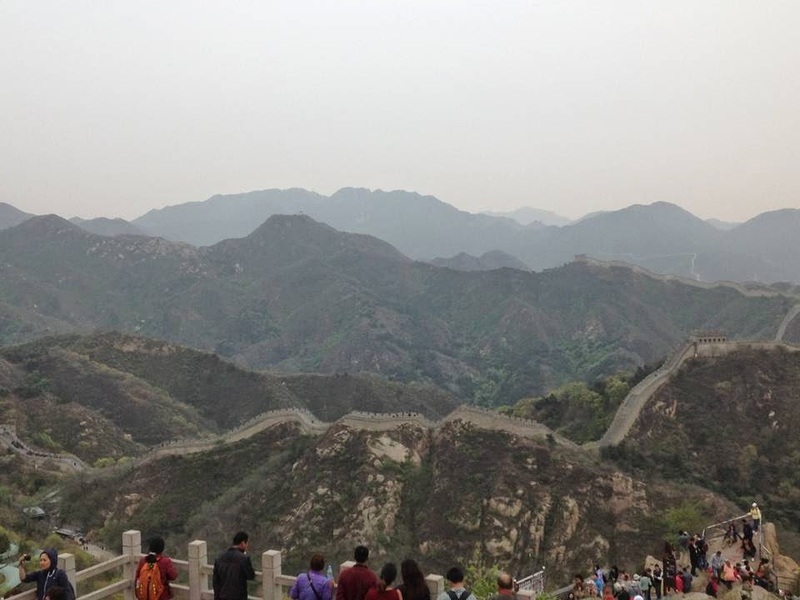 The Great Wall stands as a bridge between the past and the present, drawing millions of tourists a year to its magnificent architecture and sprawling expanse. How will the Chinese move ahead as an economic superpower while maintaining their glorious traditions and unique cultural identity? 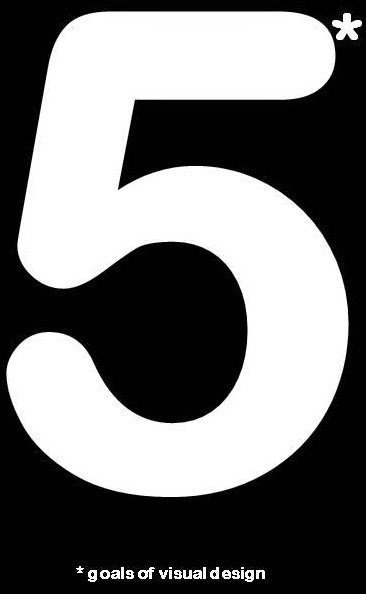 This unfolding story is being closely watched with deepening interest globally by business people, politicians, economists, political scientists, historians, anthropologists, and educators. A jazz jam session at Jianghua Bar, Beijing. 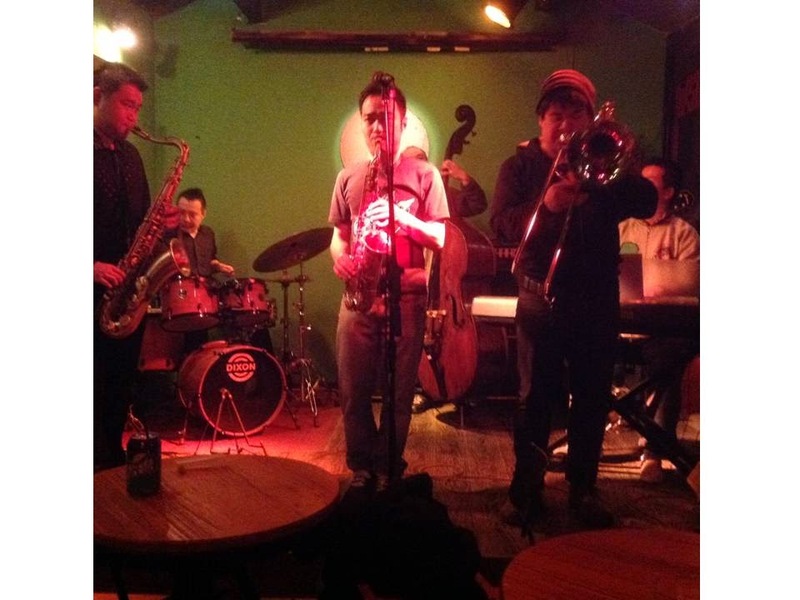 Listening to a live jazz jam session in Jianghua, a hip bar in a Beijing hutong, brought me right back to my favorite clubs in New York City's Greenwich Village, including Smalls, 55 Bar, Arthur's Tavern, Fat Cat, Garage Restaurant, Cornelia Street Cafe, and Zinc Bar. These guys were on fire. Their swinging renditions of I'll Remember April, That's All, and The Way You Look Tonight were powerful reminders of the universal appeal and driving force of jazz as an American art form. These young Chinese musicians, deep in talent and rich in improvisational skills, brought an interpretation to the musical idiom that was second to none. Their passion for jazz and deference to its legendary composers and performers highlighted for me the respect that the Chinese have for global culture in general, Western in particular. The deferential nature of a people who total 20 percent of the world's 7 billion inhabitants is humbling. I see it in the way Chinese people communicate with me. Staff members and students from the National School of Development at Peking University invariably open their emails by writing "Dear Professor," and even the less formal ones begin with "Dear Phil." In speaking with them, I often hear the expression "it's my honor to help you ... to learn from you ... to accompany you." In contrast, most Americans tell me that writing dear in an email is far too intimate or formal given the fast-paced, get-to-the-point business environment we live in today. As for it's my honor, I'd bet that Westerners would say the expression is antiquated at best or sarcastic at worst. Not so with the Chinese. They mean these words when they say them. The respect they show to their elders or accomplished counterparts and the value they place on their time with them reveal how greatly they prize education and wisdom. Yet they will be the first to say that they can learn a lot from the American style of communication. In fact, they admire American confidence and assertiveness. I raise these points not to show favor to one communication style or the other, but simply to suggest that each culture can learn so much from the other for the betterment of both.